Pattern Release! The Ichigo Bomber Jacket! Also snag a copy of the FREE PATTERN: the Mochi Bag for Kids and Adults. An adjustable strap, zippered chest bag (can be worn on hips too!) with a front pocket! A must-have accessory for any outing! My TOP 13 FAVORITE Cosplay Posts of All Time! It's one of my FAVORITE times of the year! HALLOWEEN!! While I am in the middle of making all the things for the kiddos, I thought it'd be quite festive to do a list of my favorite cosplay/dress-up posts of all time! So! Let's get STARTED and check out my spooky, top 13 dress-up posts ever!! YAY! You're here! I'm so happy! I'm Kat! This is my little pattern shop as well as the place where I share all of my sewing projects, chibi cosplay fashion, and DIY/tutorials! Everything around here is action-packed with color, silliness, and tons of kawaii stuff! Let's go on an adventure together! 31+ ways to remix Baka the Hooded Blanket PDF Pattern with 25+ free patterns and editable templates! Click here to read more about the Baka 4 Baka E-book! My Season 16 Project Run & Play Stuff! Week 4 SIGNATURE STYLE: "Our Kawaii Life!" Week Three, STRIPES: "Action Go"
WEEK TWO, SEW YOUR STASH: "Ice Cream & Sundays"
WEEK ONE CIRCUS: "Mon Cirque des Petites Filles"
Looking for unique sewing patterns? CLICK HERE TO SEE THE MAGAZINE! FREE PATTERN: the Mochi Bag + a BONUS FREEBIE! Happy Holiday Pattern Tour for Project Run & Play! BAKA 4 BAKA Free E-book! Meet Baka the Hooded Blanket! Sew Chibi Designs PDF Patterns! Looking for a playful way to stay warm? The Ichigo Bomber Jacket is a lightweight, multi-gender jacket pattern with a twist, literally! In addition to the 12M-16Y sizing, the Ichigo Bomber jacket features color-blocked wave piecing, welt and pockets, and yummy appliqués, perfect for a brisk morning stroll or a cool night on the town! Ichigo is the word for "strawberry" in Japanese and the inspiration for this jacket was a tall glass of strawberry milk! The Ichigo Bomber pattern is part of the Designer Capsule #1: Project Farmers’ Market. Boys and girls UNITE! The Umaru Shirt PDF Pattern is a relaxed, fit t-shirt pattern for all! 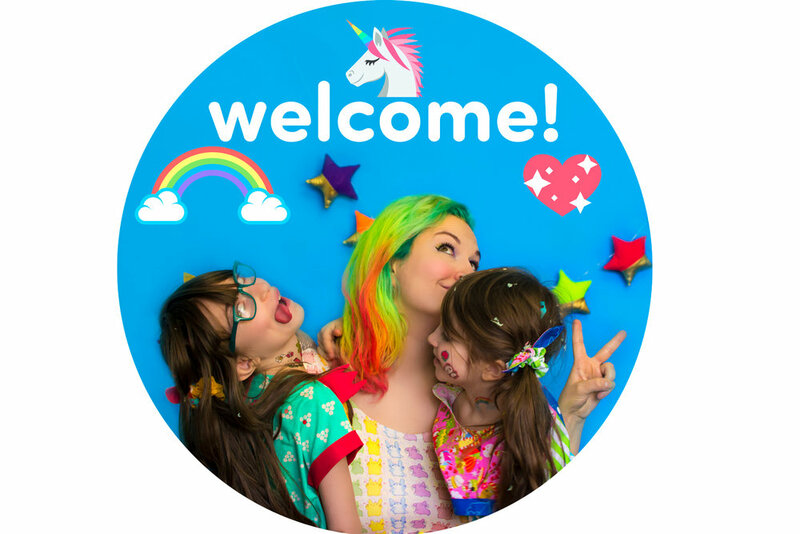 From basic to completely kawaii; little toddler 12/18M all the way up to 16Y, long, short, and sleeveless options for all seasons, and a plethora of customizations, there are over 9,000 different ways to make it! 😱 It just might be the only t-shirt pattern you’ll ever need! The Natsu Shorties PDF Pattern is a relaxed fit, knee length, knit shorts pattern featuring contrast cuffs and drawstring waistband. Perfect summer shorties for girls AND boys; for kids 12/18M all the way up to 16Y! Comfort fashion for the win! The Pudding Pants PDF Pattern is a relaxed fit knit pants pattern, rockin’ three different hem options, drawstring waistband, solid pants or color-blocked with pockets, as well as optional pin-tucking. Make them as vivid or monotone as you want; for boys AND girls from toddler 12/18M all the way up to 15/16Y! If you are tired of clicking the refresh button on your pants making (or buying!) game, break free and start making some Pudding Pants! the FULL Umaru Collection! Bundle of All 4 PDF Sewing Patterns! the Zou Playset PDF Sewing Pattern Bundle! FOR CROP TOP SEPARATE ONLY! THIS LISTING IS FOR THE CULOTTES PATTERN ONLY! First time checking out Sew Chibi Designs? Maybe it's your first time since I redesigned everything?! If you just want even more: more explosively colorful and silly handmades or are really keen to making super cute stuff, you should sign up for my Sew Chibi Designs Newsletter which keeps you up to date with all the willy antics I'm up to, PLUS exclusive access to my new SECRET FREEBIES CLUBHOUSE! created for sharing free patterns, updated content, printables, etc. CLICK HERE TO learn more about the secret freebies clubhouse!! Sign up with your email address to receive exclusive patterns, promo codes, news, updates, and gain access to the SECRET FREEBIE CLUBHOUSE! Check out what we’re up to on Pinterest! Follow our what we’re sharing on Instagram! (©sew chibi 2012-2016) © Sew Chibi Designs 2012-2019 All Rights Reserved.